Note: you need to buy 150000 miles (USD $2625) for this 50% off, which is still a lot of money. I recommend that you should only buy it if you really need to. BTW, GST/HST is charged to Canadian residents. 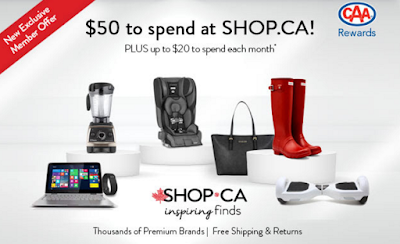 You can get 5X the Air Miles at 200+ online stores (qualifying purchases of $20 CDN or more), when you shop at airmilesshops.ca before Dec 31, 2015. Bonus reward miles will be posted to your Collector Account within 75 days after the promotional period. Please check those participating stores from the above link. 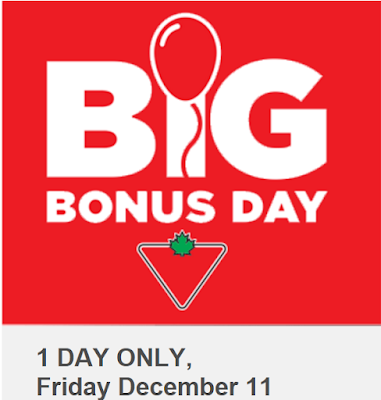 Boxing Weekend sales at Canadian Tire just got better. You can get 30X e‑CANADIAN TIRE MONEY at Canadian Tire stores. This is equal to 12% cash back. Note: This Canadian Tire 30X offer is available on December ​27 & ​28 in NB, NS, NL, and PEI. 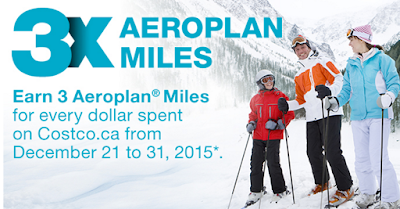 30X offer is available on December ​26 & ​27 in QC, ON, MB, SK, AB, BC, YK, NT, and NV. OTG is a restaurateur which operates more than 200 restaurants and retail concepts in 11 airports across North America. Before January 31, 2016, each time you make a single purchase of $45 or more (after taxes) using your eligible American Express Card at participating OTG restaurants in Toronto Pearson International Airport, you can earn a $10 Statement Credit. Participating OTG restaurants include: Heirloom Bakery Café, Fetta Panini Bar, CIBO, Apropos, Vinifera, Marathi, Nobel, Acer and Corso. Eligible Cards: American Express Basic and Supplementary Consumer and Small Business Cards issued by Amex Bank of Canada. The eligible American Express Card must be used when making qualifying purchases. Note: American Express Corporate Cards, prepaid cards and products (such as the American Express Gift Card) are excluded from this offer. Boxing week savings start today! 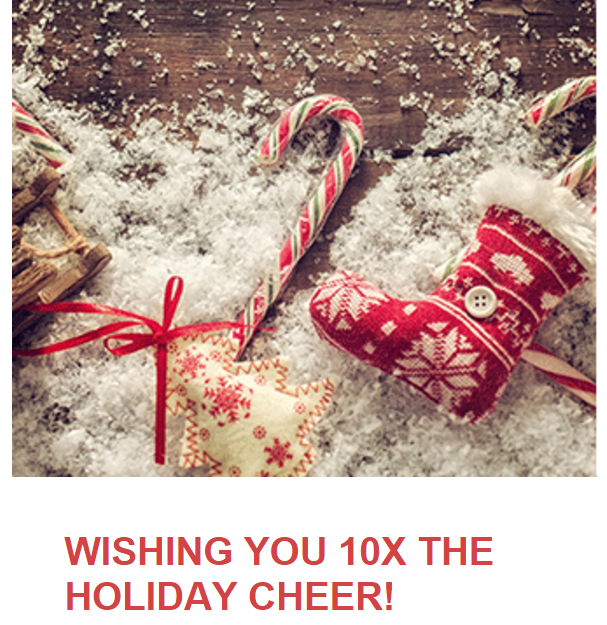 There is still enough time to buy last minute gifts for everyone on your list! You can earn 10X e-CT 'Money' at Canadian Tire, Sport Chek and Mark's when you pay with your Canadian Tire Options MasterCard. You can earn Double Points or Double Miles when you sign up and stay at ANY hotel in the Hilton Portfolio from Jan. 1 to Apr. 30, 2016. 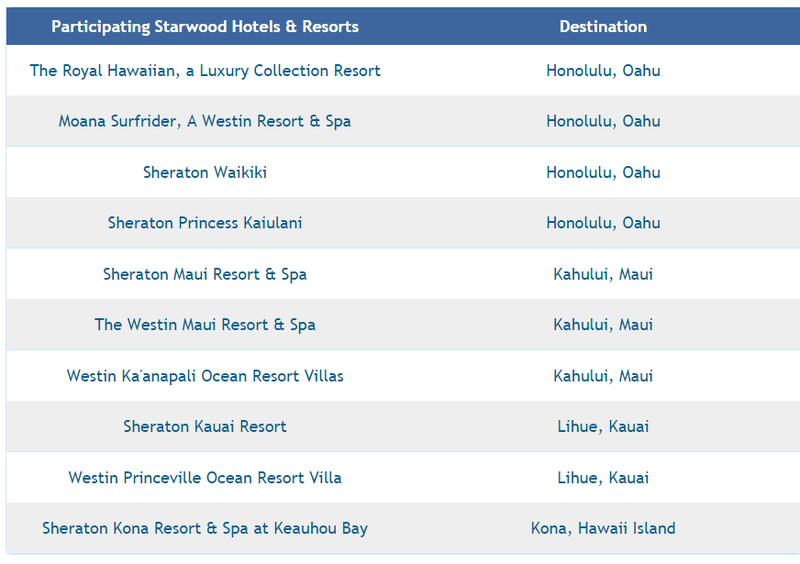 As I am a Diamond member of HHonors now, I am thinking of booking Hilton Hotels in Q1 and enjoy the benefits. From my point of view, the Double Points option is better than the other one. IHG presents a special year-end offer. You can get up to 50% off room rates at selected InterContinental, HUALUXE, Crowne Plaza, Hotel Indigo and Holiday Inn, or enjoy up to 25% off room rates at selected Holiday Inn Express across Greater China with “Double 12 Flash Sale” rate. Note: Purchase up to 150,000 miles per account per calendar year. GST/HST is charged to Canadian residents. 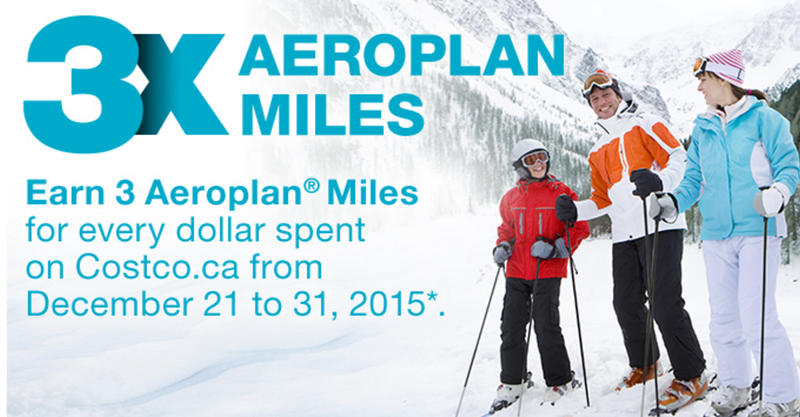 You’ll earn 50% Bonus Aeroplan Miles when you fly to select destinations for every round-trip flown in any fare. You need to book by Jan 13, 2016 and travel between Dec 3, 2015 and Apr 30, 2016. Registration is required. Eligible destinations inside Canada are as follows. You can also check other destinations from above link. You can save up to 30% off for Hilton hotels in the US, Canada or Latin America. This promotion ends December 2, 2015.